Looking to chow down on some Indian fare? A new spot has you covered. 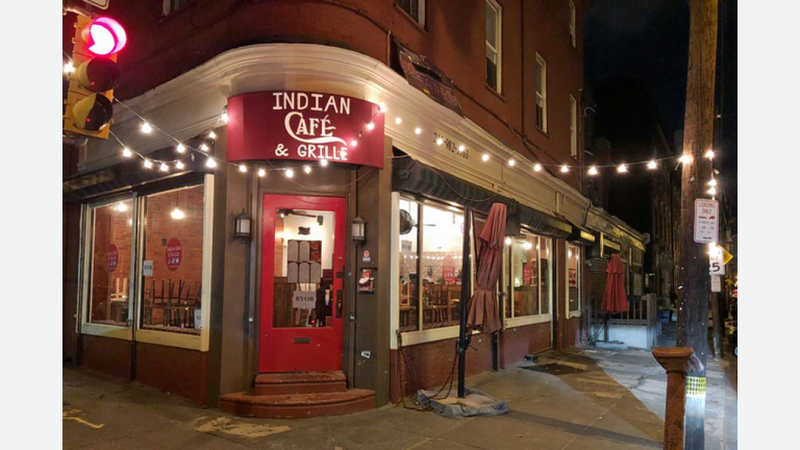 Located at 501 Fairmount Ave. in Northern Liberties, the new arrival is called Indian Cafe & Grille. This newcomer is located in the former Coffee House Too Cafe, which closed up shop last year. It specializes in traditional Indian fare, and features an array of options for both carnivores and vegetarians alike. On the menu, expect to see dishes from the tandoor oven like chicken tikka marinated in spices, lamb shish kebab with ground onion and herbs and tandoori shrimp. Look for dishes as well like biryani with saffron basmati rice cooked with goat and spices, salmon cooked in a mild spiced tomato sauce with Indian herbs and bhindi masala with okra, diced onions and tomatoes. The new arrival has already attracted fans thus far, with a five-star rating out of four reviews on Yelp. Linda S., who was among the first Yelpers to review the new spot on February 3rd, said: "Absolutely delicious! I move around a lot and Indian Cafe is at least as good--if not a lot better--than highly rated Indian restaurants in NYC and London. We loved the veg samosas, garlic shrimp, chicken tikka masala (my fave--I've had a lot of bad tikka masala, this was delicious) and lamb rogan josh." Yelper Steve S. added: "I can honestly say that their tandoori chicken might be the best in the city! Prices were very reasonable with very high quality food. The service was great and very friendly staff." Swing on by to take a peek for yourself: Indian Cafe & Grille is open Monday-Thursday from 11:30am-9:30pm, Friday and Saturday from 11:30am-10:30pm, and Sunday from noon-9:30pm.